Acrylic office tape becomes invisible upon contact with a flat, smooth surface. Reliable adhesive keeps tape in place. Matte finish accepts ballpoint pen and pencil. Fits most standard tape dispensers. Tape Type: Transparent Office; Size: 3/4 inch x 1000 inch; Core Size: 1 inch; Color(s): Clear. 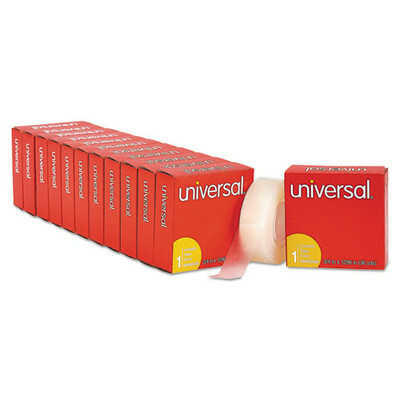 12 tape rolls/package.